John M. Canfield, son of John, was born in Sharon, Connecticut, December 22, 1775, and came to Jefferson County in 1810. He wedded with Fanny Harvey of Stamford, Connecticut, and they had 11 children, namely: Jane H., John, William F., Richard M., Laura, Fanny C., Frederick W., Annis A., Harriet, Sarah D. and Theodore. Theodore Canfield was born in the historic village of Sackets Harbor, March 6, 1823, and here he commenced a career in the hardware trade which was continued with enviable success until his retirement in 1868. 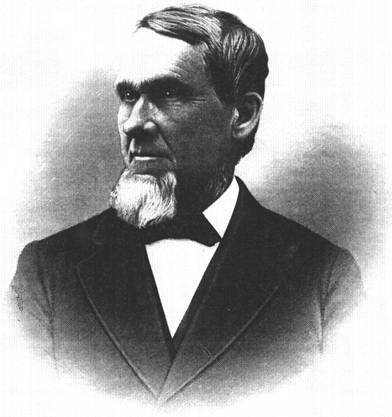 Mr. Canfield was also prominent in municipal affairs, and for his known integrity and fitness for the position was chosen the town's representative in the board of supervisors in 1859, and again in 1869, '70, '71 and '72, holding the honorable position of chairman of the board for two years. In 1866 he was the successful candidate of his party for member of Assembly. for 18 years he was an influential director of the Carthage, Watertown & Sackets Harbor Railroad, and for eight years served as vice-president of that corporation. On the 12th of September 1848, Mr. Canfield wedded Anne, daughter of John Little, a lady of refined and domestic tastes. His influence upon the business concerns of Hounsfield has been important and beneficent. He is conservative in management, and his habits of thought, as well as his business education, alike inspire him to demand a strict accountability in all matters relating to public affairs. He believes, as the founders of the government believed, that a public office is a public trust, never to be perverted, as with Tweed, to a means for enriching the officeholder at the expense of the people. He is a mild, but at the same time, a very determined man. He is a strong friend, and ever on the side of churches, schools and temperance. In the progress of every frontier town, from its early settlement to a later permanent growth there are usually found some men who maintain an equable and continuous course, and become the ones whose integrity is never questioned, and whose word is always as good as a bond. Such an one was Mr. Canfield, whom the writer remembers away back in the fifties, the same just and honorable man as he is today--equipoised, discriminating, fair and just. Haddock, John A. "The Growth of a Century: History of Jefferson County, New York, From 1793 to 1894." Philadelphia: Sherman & Co., p.612-613.